After winning the Away series, Wadekar led India to second consecutive win against England, now at Home. The series saw Wadekar’s India extending their dominance over England even at Home. COming from back in the series, India won 2-1 in the 5-test series. Indian batsmen made merry scoring consistently throughout the series. Wicketkeeper Engineer continued his love for English bowlers becoming the leading scorer of the series with 415 runs, hitting a century and 3 half-centuries. Viswanath (365), Captain Wadekar (312), Durani (277) and Gavaskar (224) were other prominent scorers. English batsmen could not bat against the spin-trio again. A Greig was their highest scorer with 382 runs, scored with a century and 2 half-century. Fletcher (312), Deness (252), and Captain Lewis (232) were other prominent scorers. English bowlers grabbed 85 wickets, still ended on the losing side. 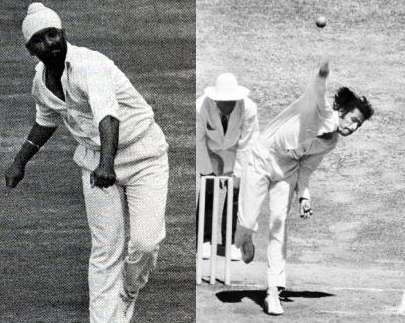 Arnold with 17 wickets was their leading bowler, while C Old and Underwood took 15 each, Pocock got 14, while A Greig got 11 wickets. Chandrasekhar created a new record of wickets by a bowler in the series grabbing record 35 wickets. Bedi took 25 wickets and Prasanna grabbed 10 wickets. Overall Indian bowlers managed 74 wickets. A Greig with 382 runs and 11 wickets was the only allrounder of the series. Engineer was the highest scorer of the series while Knott could score only 168 runs in 8 innings. Wadekar scored 312 runs with 2 half centuries, while Lewis scored 232 runs with a century and a half-century.